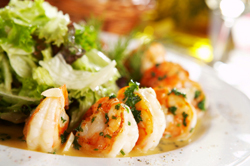 Take the guesswork out of preparing your gourmet spread! 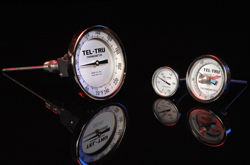 Tel-Tru thermometers produce precise readings, helping to ensure your foods are heated throughout. Made of stainless steel, our bimetal gauges come in various dial sizes and stem lengths. Digital models are also available for the cook on the fly. Most Tel-Tru models offer Fahrenheit, Celsius, or dual scale ranges. If you don't see what you're looking for, click Food for other food service configurations, Lab for other laboratory configurations, or Pocket for other pocket test configurations.